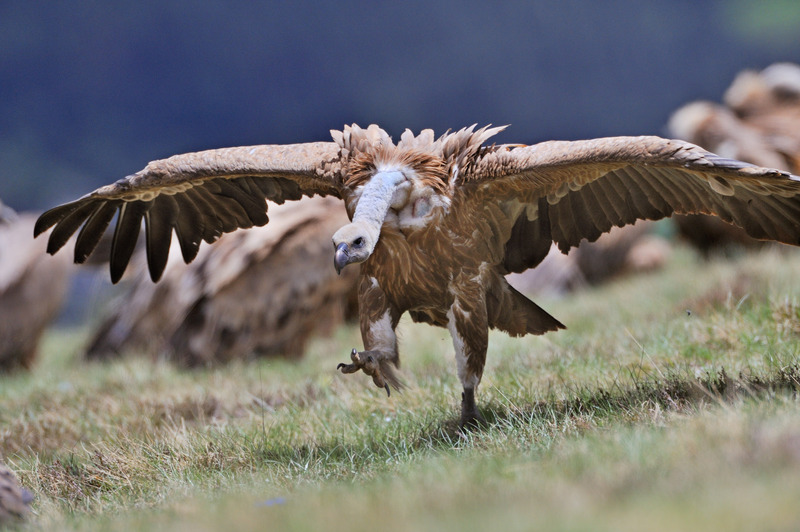 Veterinary drugs such as diclofenac are one of the main threats facing vultures in Europe and across the globe. At the end of February an international vulture conservation meeting was held in Dadia National Park in northern Greece. Experts from Spain, France, Italy, Israel, Macedonia, Bulgaria and Greece came together to discuss the threat that veterinary drugs pose to the birds. 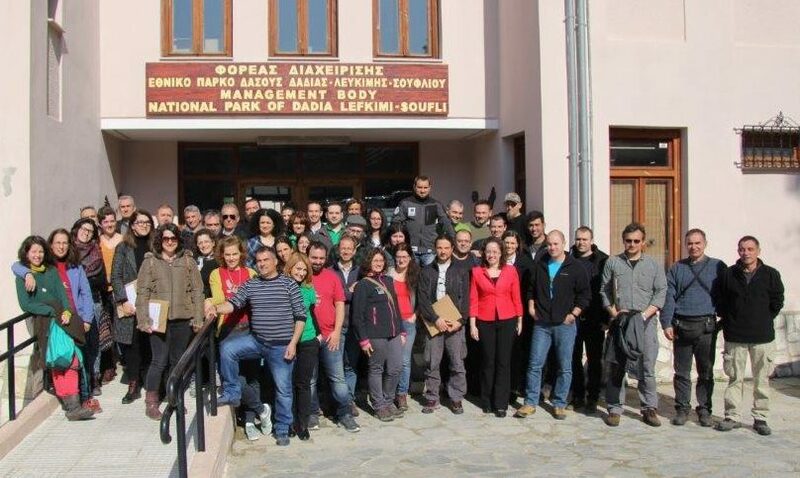 The two-day workshop, organised as part of the LIFE Vultures project, was hosted by the Vulture Conservation Foundation (VCF), with support from WWF Greece and the management team of the park. Toxic products and contaminants are one of the main threats facing vultures and other scavenger species across the world. While the VCF and partner organisations are engaged in various projects to combat the direct poisoning of vultures, other forms of secondary poisoning also occur, notably by veterinary drugs used to treat livestock and domestic animals. More than 60 different participants took part in the recent workshop, including veterinarians, researchers and government representatives. More than 60 different participants took part in the workshop, including veterinarians, researchers and government representatives from Bulgaria and Greece, as well as representatives of the Vulture Conservation Foundation (VCF), WWF Greece, the Bulgarian Society for the Protection of Birds (BSPB), Fund for Wild Flora and Fauna (FWFF), Green Balkans, and the Hellenic Ornithological Society (HOS). Also attending were national authorities responsible for both veterinary drugs and wildlife (including vultures), including the Greek Ministry of Rural Development, various regional forest and veterinary services, and the regional management bodies of three national parks. “The workshop was really useful in terms of discussions about sample analysis, and how to interpret the information obtained,” says Dobromir Dobrev, a member of the Rewilding Rhodopes team and the LIFE Vultures project coordinator. Two of the conclusions reached by workshop participants were the need for long-term sample collection, and the need to scale up the analysis of dead vultures. One of the workshop highlights was a closing discussion on how to improve capacity for the screening for poisoning in the black and griffon vulture populations of the Rhodope Mountains. Special attention was given to the impact of diclofenac, an anti-inflamatory drug typically given to livestock by Balkan-based veterinarians, including some of those attending the workshop. Supported by Rewilding Europe, the VCF is running a campaign to ban the use diclofenac in Europe (see video above). Veterinary diclofenac is a drug used to treat livestock like cows and pigs; when livestock carcasses are left in nature, vultures feed on them, ingest the diclofenac, and are poisoned and die. A dose of just 0.1–0.2 mg/kg body weight can induce rapid, lethal kidney failure in the birds. Supported by Rewilding Europe, the VCF is running a campaign to ban the use diclofenac in Europe. Workshop participants also compared the national poison screening programmes of various countries, and were informed about the latest University of Barcelona research on the threat posed by veterinary products and their potential toxicity to vultures in Spain. Focusing on the Rhodope Mountains rewilding area in Bulgaria, as well as a section of the Rhodope Mountains across the border in northern Greece, the aim of the project is to support the recovery and further expansion of the black and griffon vulture populations in this part of the Balkans, mainly by improving natural prey availability, and by reducing mortality through factors such as poaching, poisoning and collisions with power lines. Read more about the LIFE Vultures projects here and here.